A fiercely bright and sunny day at Dunadd hill fort in Argyll, Scotland at the head of the Kilmartin Valley. This fort was once the capital of one of the ancient kingdoms of Scotland set as it is on a rocky out crop above a flat plain. 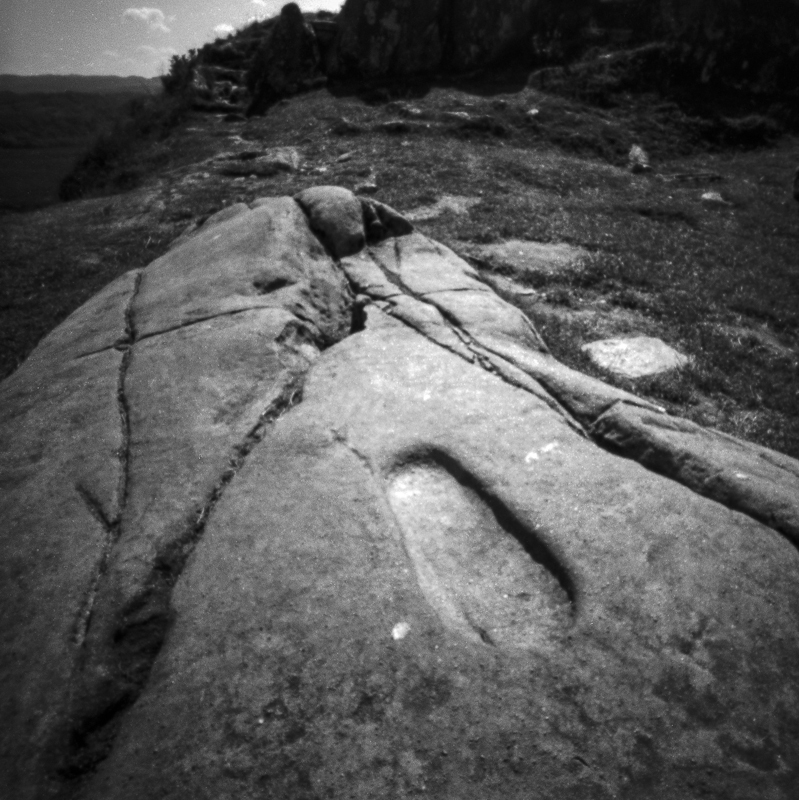 Here at Dunadd kings were inaugurated, placing their foot in the carved stone footprint, binding the King to the land and the land to the King.